Ok, so it's not. It's actually Tuesday. I can tell because of the shirt I'm wearing. Many of us had Monday off here in the states, including me. So it's a bit of catch-up this morning. One item is Wyrd's regular Monday post. 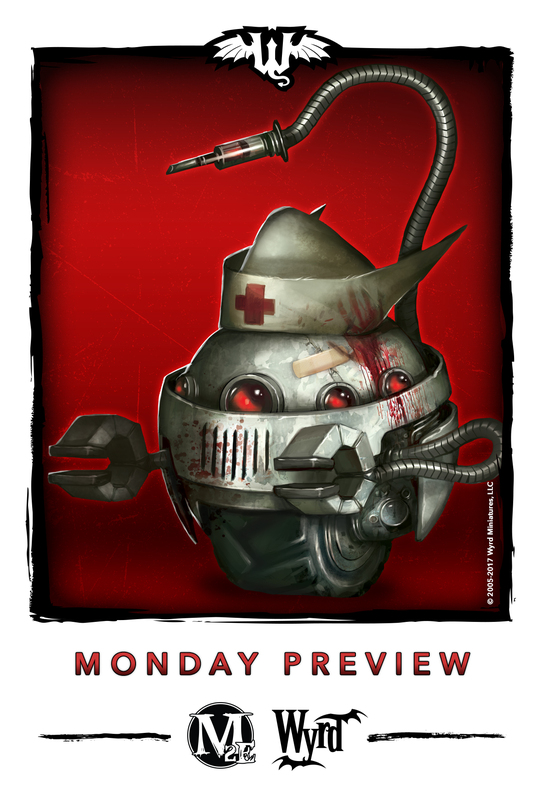 In this case, it's some alternate art for the Medical Automaton for Malifaux. Monday's aren't always great, but Malifaux previews make them better! We are continuing looking at some additional art for models out of Broken Promises! This week we are taking a look at the Medical Automaton. Now to find out about the job this little robot does! Working in the mines is dangerous work, and often times, there simply aren't enough doctors to ensure that every Contract Town has someone capable of treating wounds.